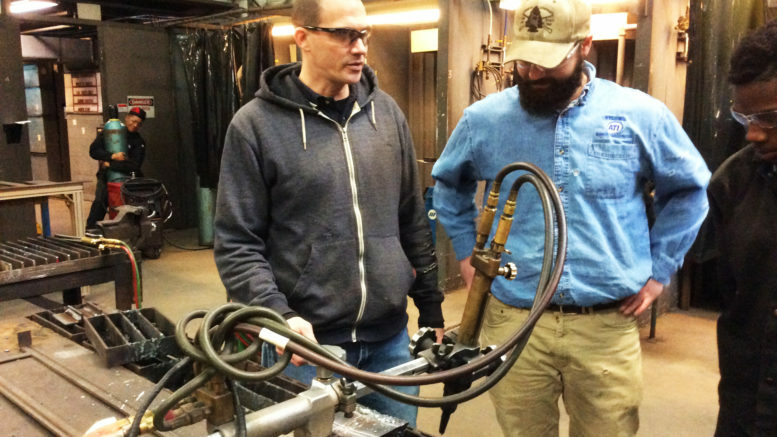 Josh Beddingfield has recently attended the Certified Welding Inspector course held by the American Welding Society. After a week-long seminar and a grueling 6 hour 3-part test, he has returned to share his new knowledge as a Certified Assistant Welding Inspector (CAWI) with the welding students and the welding department. Additionally, Josh honors our institution by becoming our newest Certified Welding Educator. 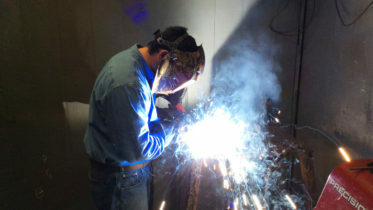 These distinguished titles not only validate the quality of education our students receive, but shows the level of dedication our staff achieves to ensure current and correct techniques are passed along to our welding students, the future builders of America. Additionally, the Welding program has introduced a new certification test given during the Basic Shielded Metal Arc Welding course. Students are challenged to weld a 1/4 inch fillet weld on 1/2 inch plate that successfully meets AWS D1.1 Tack Welder qualification standards. This test comes at the beginning of the student’s program in order to build confidence and give them a foot in the door of the welding field. Giving the students this weld test so soon in their program is beneficial in that the student sees exactly what a weld procedure specification is and the importance of abiding by the listed parameters and adhering to exact directives and weld test procedures.